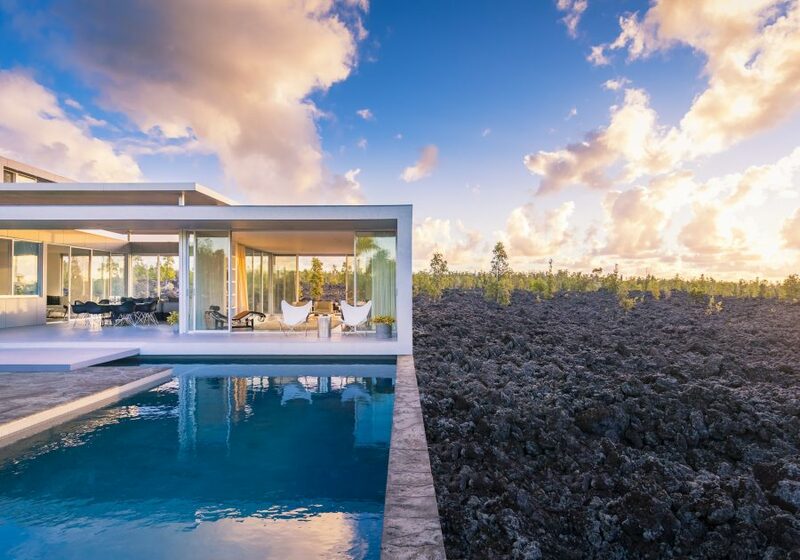 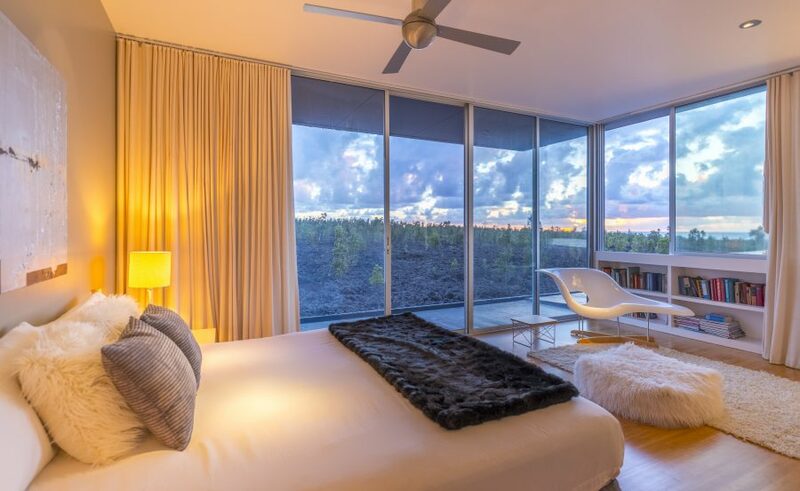 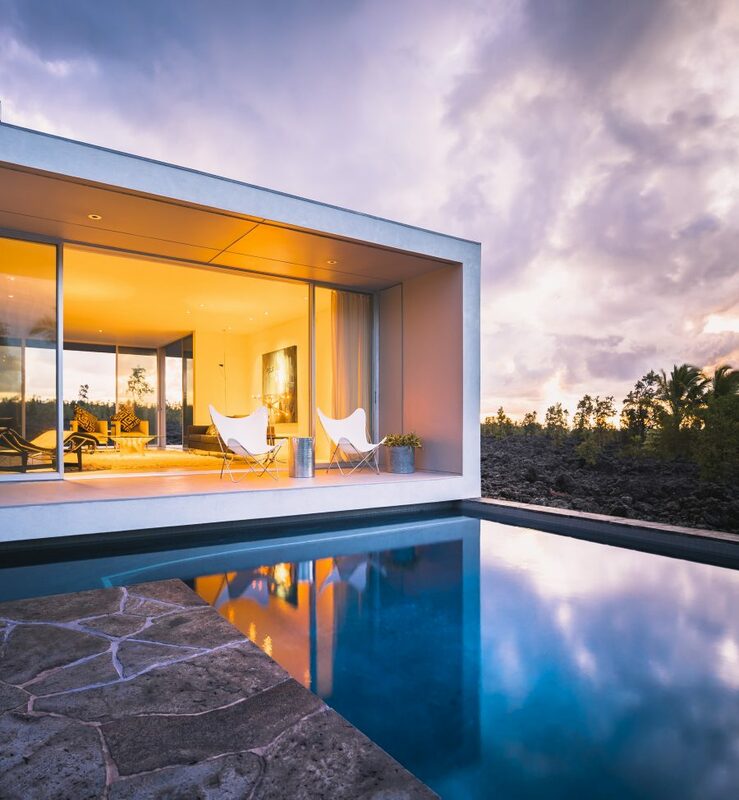 This home and separate studio sits high on a lava flow overlooking the ocean. 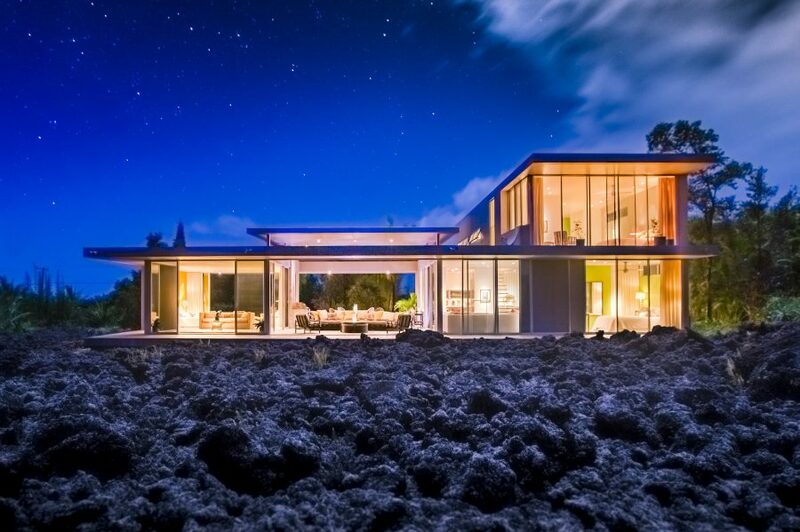 At night from the lanai, the red glow of Kilauea crater is visible reflected on the clouds. 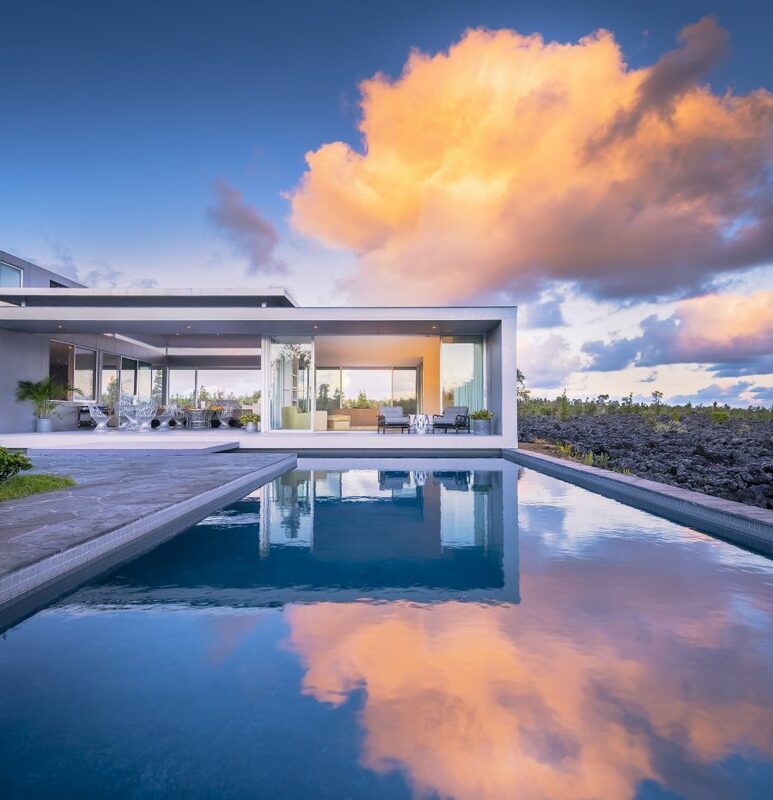 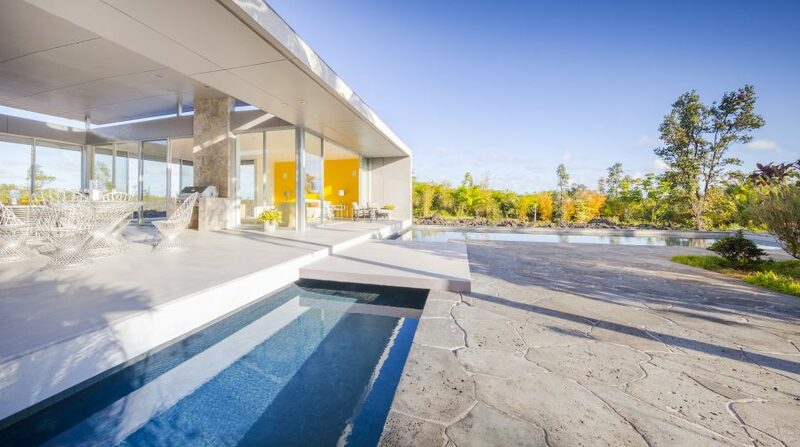 The house is entered from a cut lava terrace by crossing a bridge over the pool onto the 40′ x 40′ lanai. 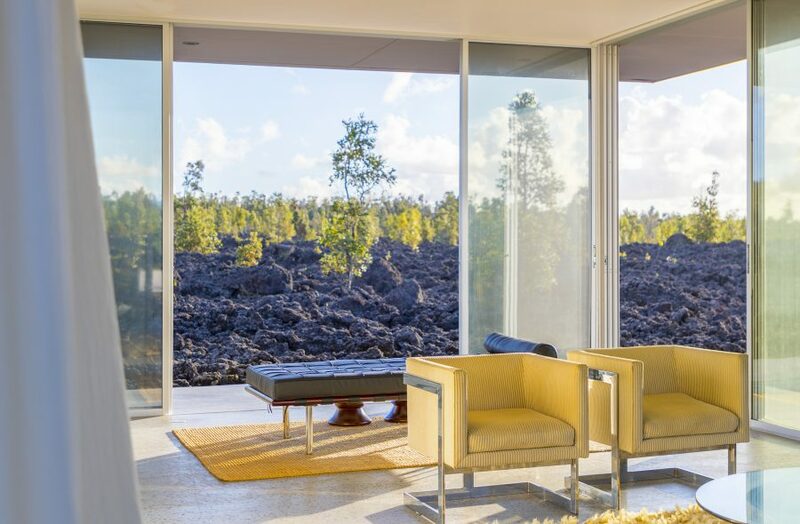 A glass enclosed living room sits in the south of the lanai with an uninterrupted view over the lava flow. 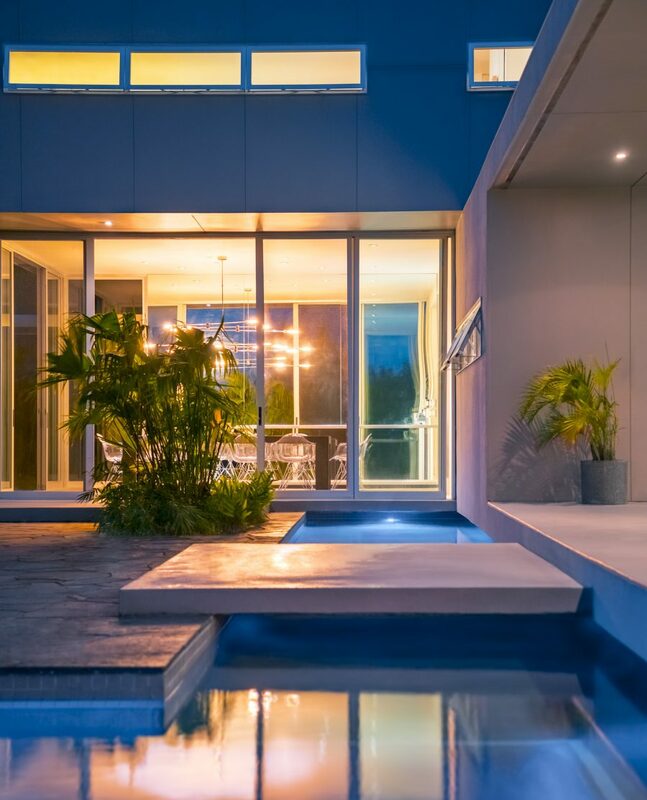 Directly off of the lanai are a sitting room, the kitchen, the dining room and a guest room. 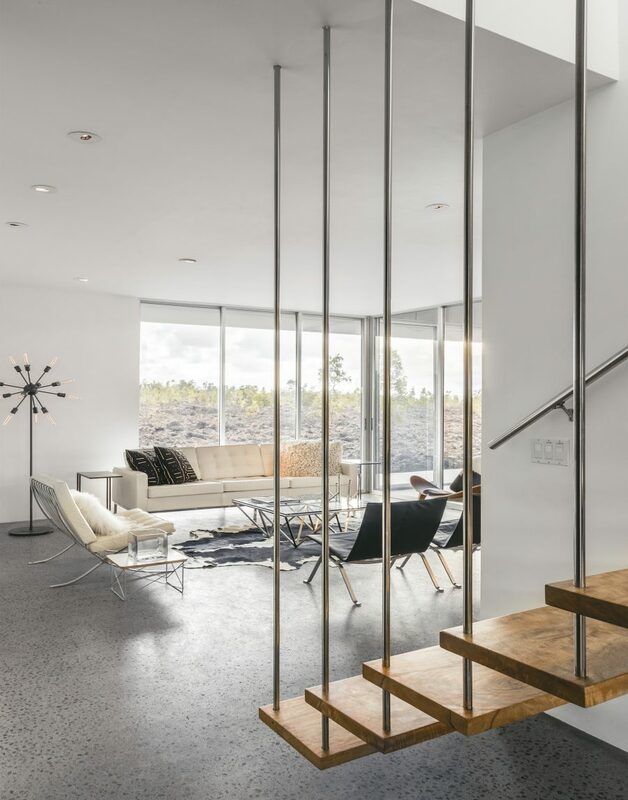 A cantilevered stair of mango wood slabs leads to the upstairs master bedroom, bath, and study.